The 5th album from this UK pop-outfit Led by Ezio Lunedei. 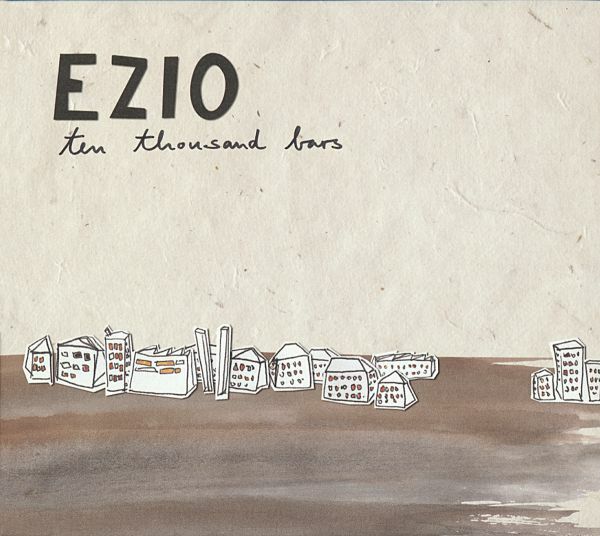 Minimal sensitive pop songs with a strong personal feel and The core recordings were all done by Ezio alone. With his 2006 studio album "Ten Thousand Bars" the English singer/songwriter Ezio Lunedei started getting back to basics, developing a sound reminiscent of early Van Morrison and the electric Bob Dylan. 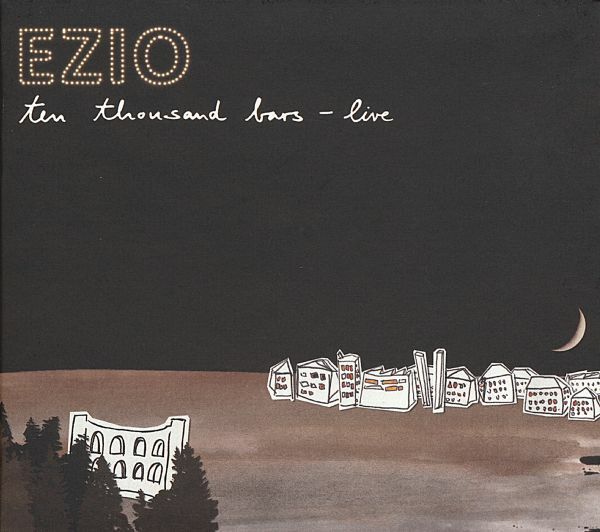 That Ezio and his band are great live perfoermers as well is proven by their new "Ten Thousand Bars - Live" album. Recorded at the Kaisertherme in Trier/Germany in August 2007 at the end of the "Thousand Bars" tour, the group, featuring Ezio with Mark "Booga" Fowell (guitar), Lee -The Reverend" Russell (guitar, keyboards), Lidia Cascarino-Clos (bass) und Alex Reeves (drums) played a "Best of." their program in front of 1000 enthusiastic fans who experienced an unforgettable evening. The delivery is always poignant, at times deadpan funny, melancholic, political, sarcastic and quite mean, indeed.Not so comfy and nice as some of the records would want you to believe. It's always been a wee bit the "Let It Be/Phil Spector" dilemma with Ezio. Great songs and sentiments,... but who let the string section and choir in? So, here we finally have the ultimate "Ezio in a nutshell" record. Sans the floss and ear candy. 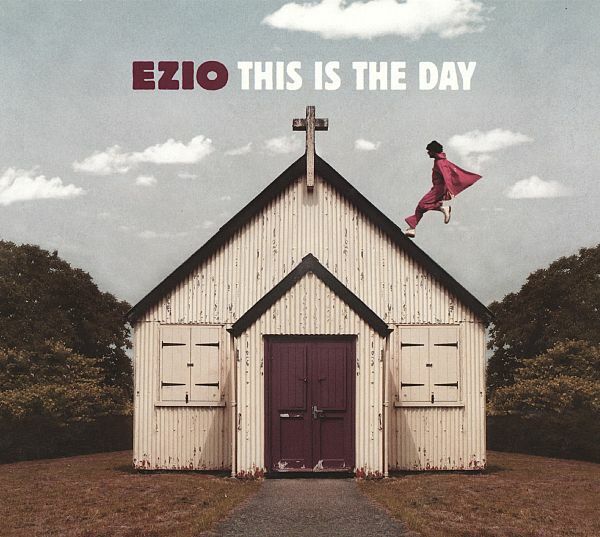 Recorded in a very, very rustic country house studio in northern Germany in two short explosive sessions, This is the Day captures Ezio's songs and performance in their most potent form. And lo and behold how this rough diamond will sparkle! 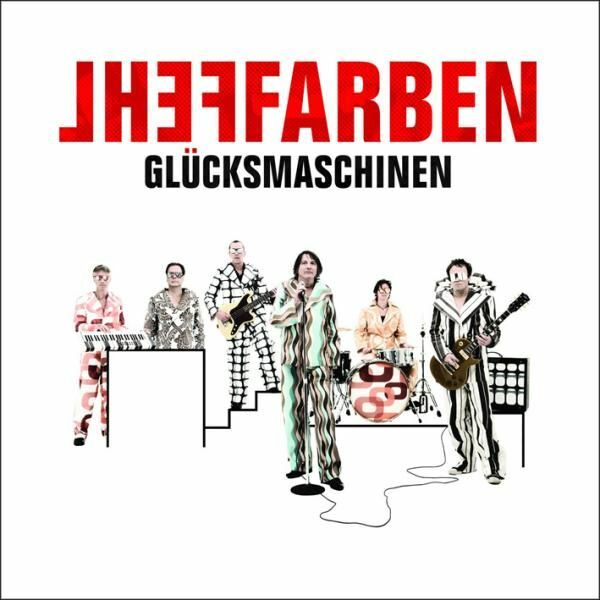 Alternative Rock with German lyrics.New album by the legendary German band, featuring Fehlfarben singer Peter Hein. Just like old times. 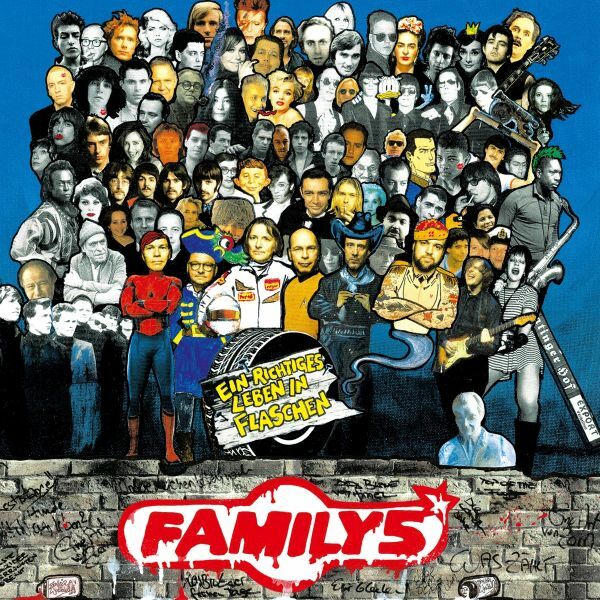 Fehlfarben singer and legend Peter Hein reunites his other important band, the Family 5. Combining German lyrics with beat and soul music influences. 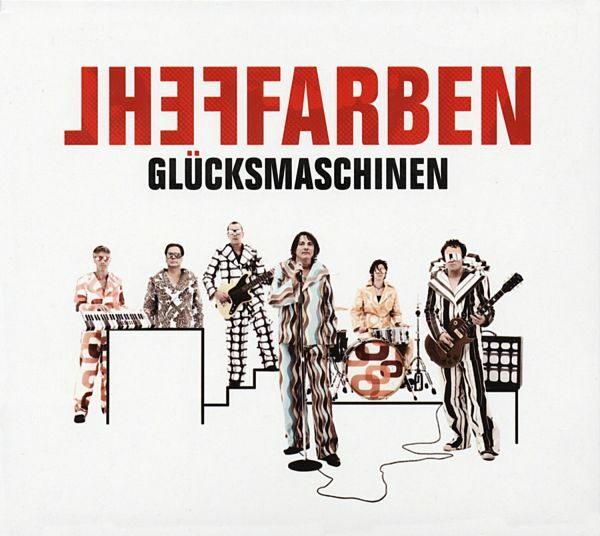 FEHLFARBEN are one of Germanys most legendary Indie acts, comprised of former members of DAF, Mittagspause, S.Y.P.H. and Der Plan - a "who is who" of the most influential bands of the end 70s German new wave and punk scene. Their epochal 1980 album "Monarchie und Alltag" was one of the 80s most important albums as well as being a top seller, including the ,Neue Deutsche Welle anthem "Ein Jahr (Es geht voran)". 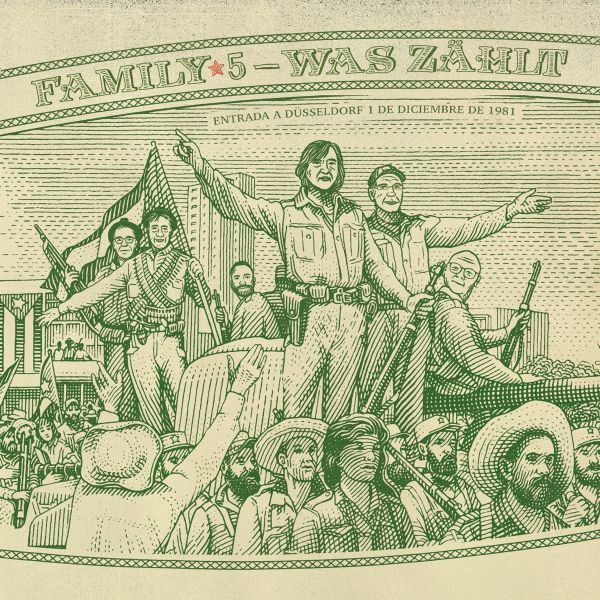 Produced by Moses Schneider (Tocotronic, Kante, Beatsteaks). "Gluecksmaschinen" was recorded mostly live. 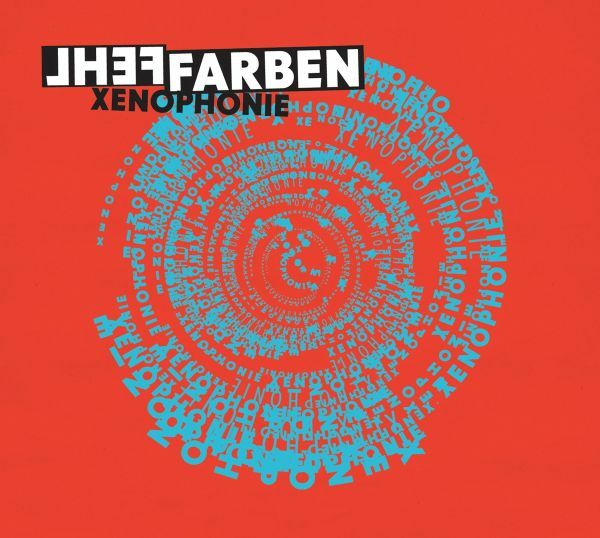 No overdub sessions to even out the sound,... FEHLFARBEN havent sounded this fresh and vital since - and were back with the history stuff - their "MONARCHIE UND ALLTAG" heyday. TRACKLISTING: 01. Gluecksmaschinen 02. Stadt Der 1000 Traenen 03. Neues Leben 04. Aufgeraucht 05. Im Sommer 06. Vielleicht Leute 5 07. Wir Warten (ihr Habt Die Uhr, Wir Die Zeit) 08. Respekt? Re-issue of their comeback album from 2002. Incl. 5 Bonus tracks. Re-issue of their comeback album from 2002. Incl. 3 Bonus tracks. 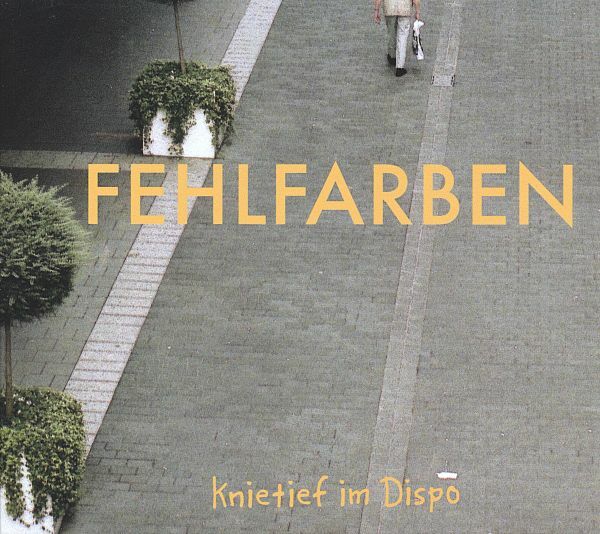 Whenever there's talk about the best German-language album of all time, Fehlfarben's "Monarchie und Alltag" ("Monarchy and Everyday Life") often heads the list. This album came out in 1980. Since then a lot of water has flowed down the Rhine, and Peter Hein has worn "the early work around his neck like a millstone." At least so he sings on the song "TCM (Polychemie)" from the album "Xenophonie". Hein has a legitimate complaint. Now on "Xenophonie" the wrong colors seem incredibly fresh. The opening track 'Decade 2" starts off with an insane riff ; a few seconds later we hear Peter Hein's very expressive voice singing in his typical masterful way: urgent, practical and yet full of poetry and melancholy. In all seriousness, there is no shortage of looseness here and this hasn't been heard since the release of "Resistance" by Family 5. "Herbstwind" (autumn wind), the last, almost ten minute long piece on the album transforms the Fehlfarben ("Off Colors") for the Riders on the Storm, before a Fortuna-Dusseldorf scarf sweeps aside the beautiful apparition. The album was produced live in Berlin's Hansa studio by Moses Schneider (Beatsteaks, Tocotronic). 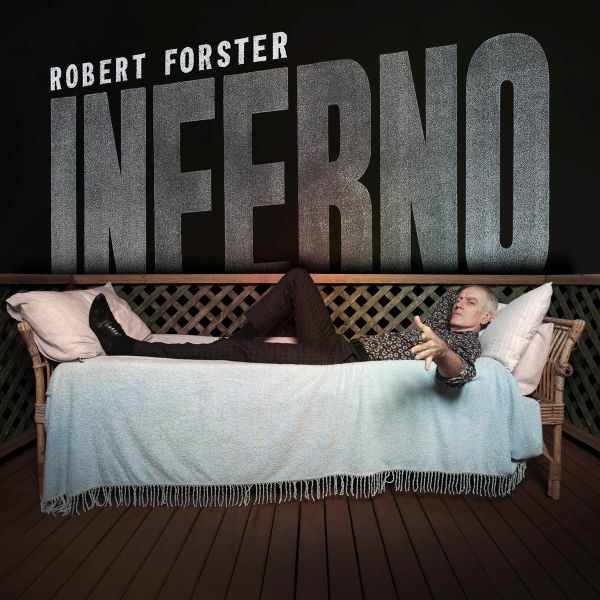 Inferno is acclaimed Australian singer-songwriter Robert Forsters first solo album in four years - his second album over the last eleven years. 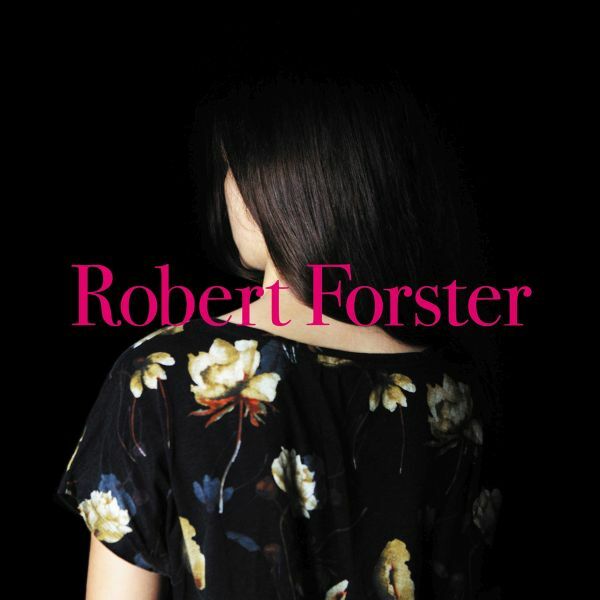 Forster only makes records when he feels he has the songs - on Inferno, he has nine he totally believes in.They range from the exhilarating top ten pop of Inferno (Brisbane In Summer), the beach shack groove of Life Has Turned A Page, via Remains 1977 New York strut, to finish in a way that this concise, brilliant, drama and wit filled album only can - on the big build epic One Bird In The Sky.Inferno was made in Berlin in 2018, during the hottest German summer in decades. Noted producer/engineer Victor Van Vugt (Beth Orton Trailer Park, P J Harvey Stories From The City, Stories From The Sea), recorded the album; the first time he and Forster had worked together since Van Vugt engineered Forsters debut solo album classic Danger In The Past in Berlin in 1990. The album is really nothing like he's ever done before, although it retains many of the qualities we know from his songwriting: highly melodic, with incisive, witty lyrics attuned to real people and real lives. The surprise will be the spirit of the record, its sense of adventure and fun - especially after the meditative reflections of The Evangelist (recorded a year after the death of The Go-Betweens co-founder Grant McLennan).Seven years has brought a bolder, wilder approach to sound ... and a set of truly inspiring compositions. Pop songs. Five minute epics. A bossa nova tune. Singer-songwriter classics. Add the more experimental and detailed production assistance of Bromley and McDonald and no wonder - from the album's opening lines on the super-charged Learn To Burn - Forster is bursting to get out and tell his story.Time's a sequence and you wait for changes. Problem is you know I've got no patience. I've got no desire to be the fourth person in line.Seven years in the making. And worth every minute. Niels Frevert was the singer for the Nationalgalerie, a group considered to be among the founders of the so-called Hamburg School of Music. Its been four years since the release of his last solo album. The result are 9 new songs - quiet songs with german lyrics and with with an almost chamber-musical instrumention, arranged by Werner Becker (better known by his alias of Antony Ventura as an easy listening composer in the seventies. 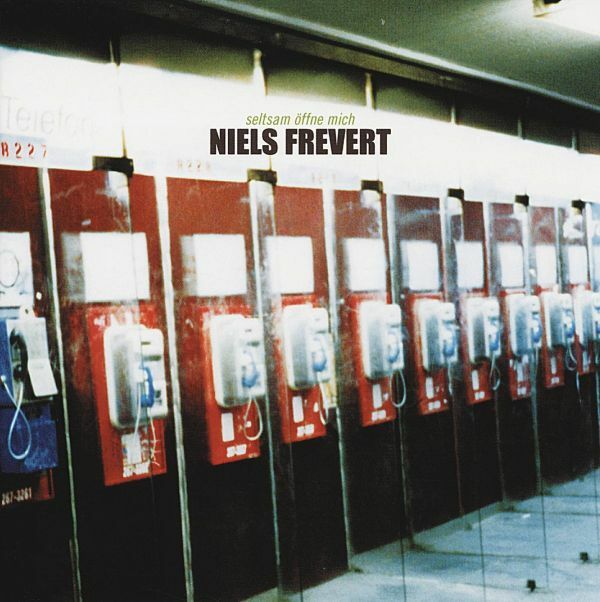 Vinyl Re-Release of the second solo album by ex-Nationalgalerie singer Niels Frevert (first released in 2003). 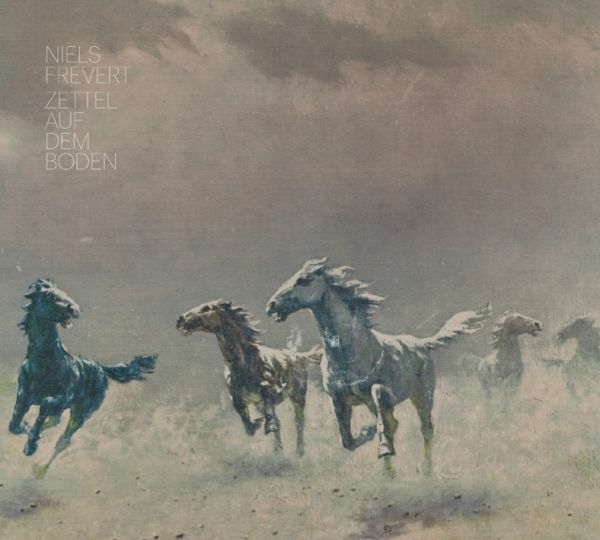 He only kept us waiting for three long years - now it is here, the fourth solo album by Niels Frevert (ex-Nationalgalerie). The guy who never practises, but takes ages to write his lyrics (someone once said it takes him as long as a squirrel surrounding the world once, by feet this means ;-) ). But what the hell: it is here now! The title of the record which means as much as "notes on the floor" refers to the little notes that people often leave for their loved ones when they leave the house. Each of this notes tells its own story, and so do all the songs on the album, they are a message to the people who listen to it. The musical framework is build by acoustic guitar and piano, based on a foundation of bass and drums. Everything has been recorded live and elegantly improved by strings, vibraphone, brass, accordion and choirs. Thats what it sounds like when talent, self-confidence and a composure of mind come together. Everything here is music, warm hearted, a poetry without posing. Guest musicians: Martin Wenk (Calexico), Gisbert zu Knyphausen and Nils Koppruch. Comes with a 5 track bonus CD! He only kept us waiting for three long years - now it is here, the fourth solo album by Niels Frevert (ex-Nationalgalerie). The guy who never practises, but takes ages to write his lyrics (someone once said it takes him as long as a squirrel surrounding the world once, by feet this means ;-) ). But what the hell: it is here now! The title of the record which means as much as "notes on the floor" refers to the little notes that people often leave for their loved ones when they leave the house. Each of this notes tells its own story, and so do all the songs on the album, they are a message to the people who listen to it. The musical framework is build by acoustic guitar and piano, based on a foundation of bass and drums. Everything has been recorded live and elegantly improved by strings, vibraphone, brass, accordion and choirs. Thats what it sounds like when talent, self-confidence and a composure of mind come together. Everything here is music, warm hearted, a poetry without posing. Guest musicians: Martin Wenk (Calexico), Gisbert zu Knyphausen and Nils Koppruch. 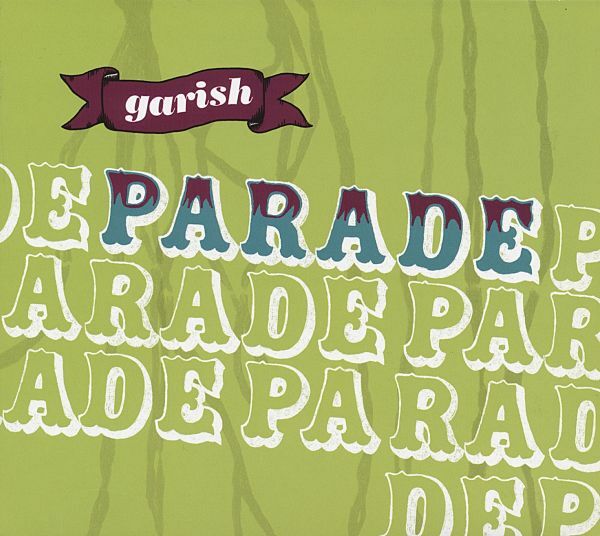 The fourth album by the Austrian band Garish. And its once again well-performed contemporary Alternative Pop music at its best. Its a thing of great and rare beauty. 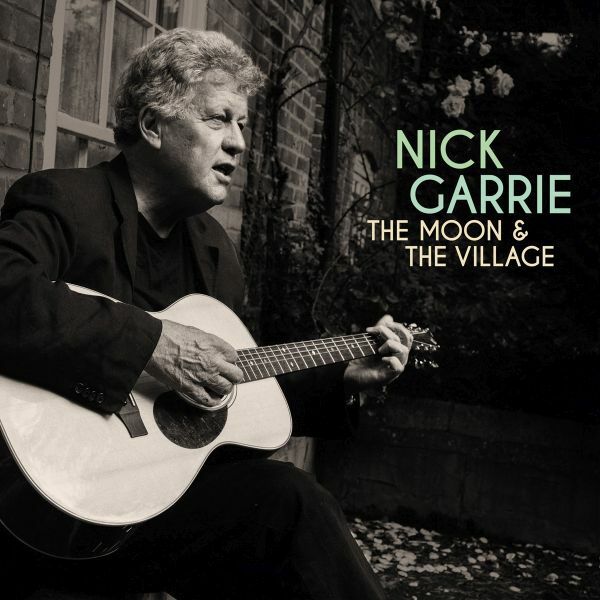 Its still very much the same Nick Garrie who made that incredible 1969 debut and the 2009 album too, but this time round its Nick Garrie in a more reflective mood. The songs are as strong as ever but have a directness and fragility about them. The sonic settings created by Gary Olson and a supporting cast of players matches the tenderness of the story telling in Nicks songs. The arrangements are from the school of less is more. Nothing is screaming out for attention here but instead every sound perfectly plays its part in bringing the stories in the songs to life. Nick sings about a lost diary and about losing ones way on the albums opener Lois Diary. This track like others on the album has a beautiful sadness about it. Theres no artificial earnestness or over statement, its all perfectly pitched.